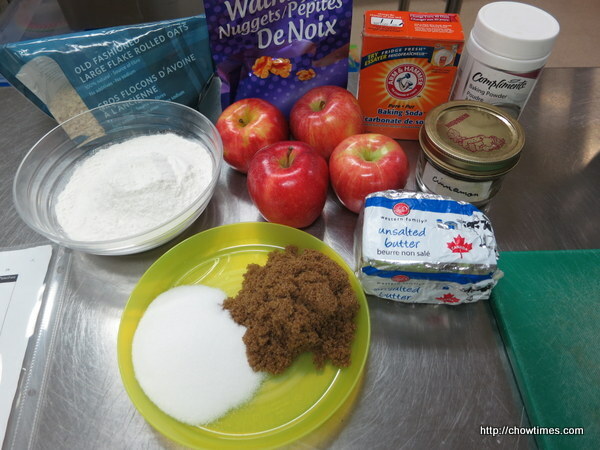 The dessert which we made at the South Arm Community Kitchen was an Apple Crisp with Walnut. You can substitute the apple with other fruit like pear, peaches or mixed berries. 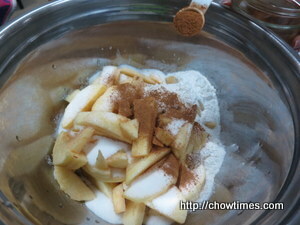 Mix the fruit mixture together in a large bowl. 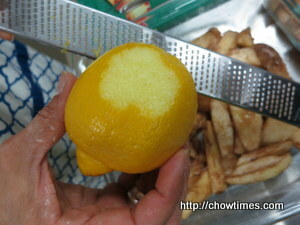 We added some lemon zest for extra flavour. Place the fruit mixture in the bottom of a non-stick pan or glass pan. 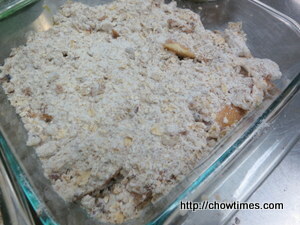 To make the topping, mix the dry ingredients and cut in the butter to make crumbs. 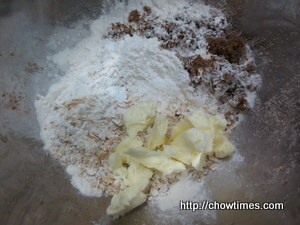 If the topping is too dry and loose, add more butter. 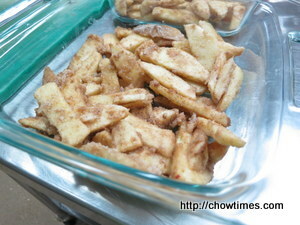 Place the crumbs on top of the fruit mixture. 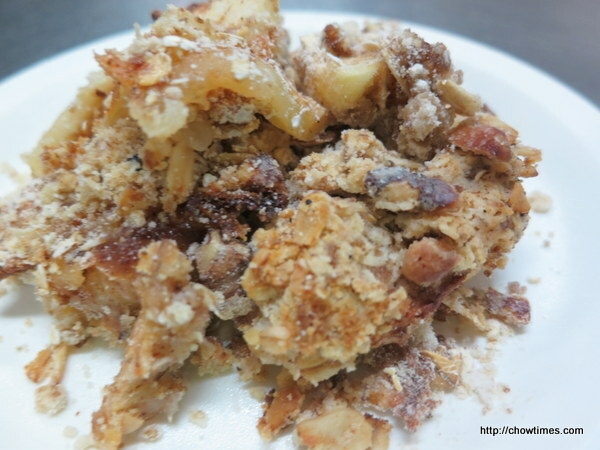 Bake at 375F for 35 to 40 minutes or until fruit is cooked and crumbs are browned.